2013’s Killer Instinct brought a whole lot of reconstructed characters, settings, and music to the iconic fighting series. The release featured the iconic themes produced by original composers of the 1994 Killer Instinct, Robin Beanland and Graeme Norgate. 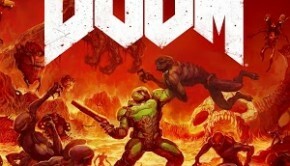 This time, they were arranged by Mick Gordon using fresh stylings and cutting-edge samples. Gordon breaks down the original arcade sounds and brings new life into each of the characters through their themes, from Sadira to Spinal and everyone in between. 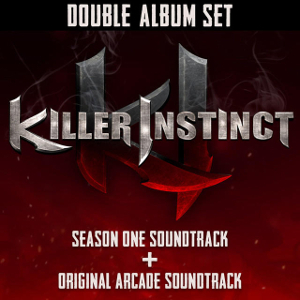 Bundled together with the Killer Cuts soundtrack, the Killer Instinct: Season One has finally been released through digital retailers after much fan demand and has already topped the Amazon Soundtracks chart. The first track on Gordon’s score is not the Main Theme, but instead “Touch Me and I’ll Break Your Face,” a twist on Orchid’s theme. An appropriate beginning to the score, given Orchid’s popularity in the first game and throughout the series. While most of the themes are instrumental, Orchid’s theme is sung by Ali Edwards and Faye Newborough. The song is somewhere in the middle of rock/pop with rough vocals and a heavy nineties influence, giving the opening of the album a catchy feel, and one of nostalgia, letting the listeners know that Gordon has not gotten rid of any of Beanland’s original work. “Touch Me and I’ll Break Your Face” is followed by “The Instinct,” the more typical main theme of the game, opening with some hard rock and electronics and a soaring electric guitar ripping out the widely recognized melody first imagined in 1994. It’s a fantastic remix, blending retro and modern influences, beat-heavy sections and anthemic melodies, into one seven minute masterpiece. “Hinnamatoom,” based on Thunder’s Theme, was a delight to listen to, and one of the best revamps on the album. The piece uses a mix of hard percussion and rock combined with a series wooden pipes and even some choral vocals to represent the tomahawk-wielding painted warrior. All the elements are incredibly well-implemented here, with Gordon skilfully combining choral and solo instrumental performances with top-notch sampled elements, into a rich, varied mix. Gordon has a strong ability for not just reimagining the themes of each character, but incorporating instruments specific to the different moods of the characters without falling into the trap that many game composers do, where the soundtrack becomes one lengthy piece with no clear separation of tones or themes. Each character has entirely different themes, and are thus reimagined with entirely different instruments, an option that wasn’t around — at least not to the same degree — for game music twenty years ago. Gordon, however, takes advantage of this in this score to create a set of varied themes. Metal is a prominent style throughout the score; heavy guitars are incorporated frequently, albeit through different means. “Warlord,” an adaptation of Spinal’s Theme, uses a Germanic industrial metal-styled rock, laced with subtle hints of organ and not-so-subtle chanting male chorus. Often the piece breaks into a heavily percussive swing, but eventually falls back into the chanting motif. “The Tiger Warrior,” featuring the return of Jago’s Theme, uses the same heavy metal style along with some male chorus, but incorporates a pentatonic-scaled vocalist and mandolin, just prominent enough to clearly distinguish the piece from “Warlord.” Gordon also produced an original theme for new character Sadira, “Ballet of Death”, which emerges from its somewhat bizarre introduction into a heavy metal rollercoaster filled with wailing siren-like synths and hard-edged bass lines. My favorite track is “Lycanthropy,” or Sabrewulf’s Theme. In the original Killer Instinct, Sabrewulf’s theme was a two-minute pseudo-Baroque castle theme (one of my favorite types of tracks, particularly in older games). Gordon has drastically altered the theme to create a series of eerie glissandi along various stringed instruments, reminiscent of the worlds of Van Helsing, or Wolfenstein (which, incidentally, Gordon scored shortly after Killer Instinct). However, after about five minutes of the oscillating strings, and a following two minutes of industrial sounds, a refreshingly tonal cello crescendos its way back into the piece, and is followed by a string quartet playing the original theme of Sabrewulf’s Castle (later joined by a harpsichord). To my delight, the piece is incredibly well arranged and performed, and for those looking for a straight transcription of the original soundtrack onto live instruments, you couldn’t ask for a better rendition of this wonderful theme, tucked away at the end of “Lycanthropy.” This is a perfect example of how to pay homage to a fan favourite while offering something completely fresh at the same time. The album concludes with two unusual tracks: “The End,” a predominantly orchestral piece, and “The Way U Move [Seamless Remix],” one of the two lyrical tracks. “The End” features rich orchestration, a reprise of the main theme on horns and strings, and a variety of percussion instruments that, while wide-ranging, are all generally typical of the average orchestra. The piece is not devoid of electronics, as some mild pulsing at the beginning of the track gives away some remainder synth sounds from earlier in the album. But by the end of the track, the piece is purely live Hollywood-styled orchestra that captures quite a mood at the end of the game. “The Way U Move” stays true to the original song from the 1994 Killer Instinct, but gently draws the style away from the jarringly nineties feel to a slightly more current version, with more musical influences from the past ten years. 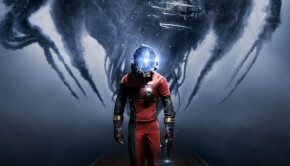 The instrumentation and electronics are smoother, and the vocals are distorted through different methods, taking advantage of the more sophisticated instrumentation techniques available in gaming while remaining true to the original game. The soundtrack is written more like a rock album than a typical soundtrack. There are only eleven tracks in Killer Instinct: Season One, but each one is fleshed-out through plenty of development and most extend well past the five minute mark. In addition to expert arrangement and implementation, each track boasts a different feel and style. The album as a whole leans heavily towards the rock/metal/techno genres, but within that, Gordon utilizes an surprisingly large number of techniques and instruments to make sure that there is no monotony in the soundtrack. Bundled together with the original Killer Cuts, the soundtrack is now for a very reasonable 11.50 USD through Amazon now. Highly recommended. Posted on October 19, 2014 by Emily McMillan. 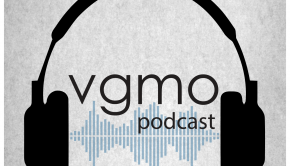 Last modified on October 19, 2014.